Me VS. 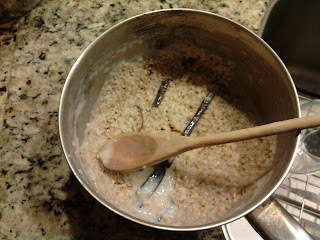 The Sugar...: Steel Cut Oats Are Out to Get Me!!! 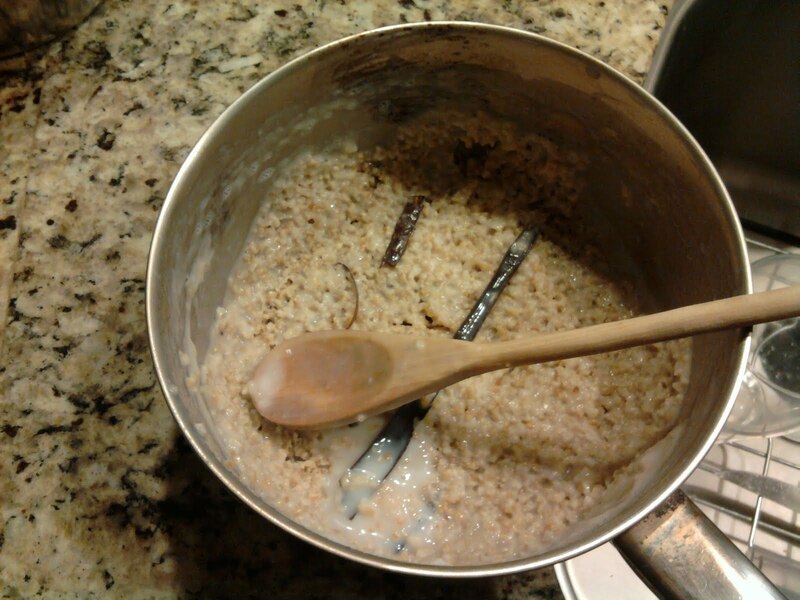 I guess it could have been worse, I think I caught it before the oats really stuck to the pan, but I still had to leave the pan soaking over night. Why are these oats doing this to me? I had the rest of my pre-made yogurt+fruit smoothie for my pre-workout snack and it still tasted yummy. I was able to rescue enough oats for our breakfast. 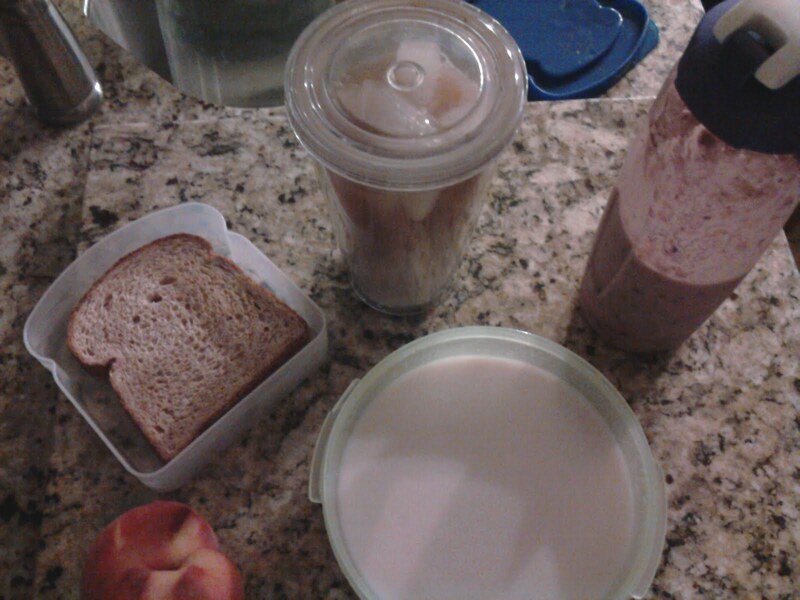 I added milk, some raisins and a bit of the local honey for some added sweetness. I also managed to burn my toast at work, what is it with me these days. I topped it with some Dark Choco Dreams PB and was able to cover the burnt taste, sort of. The peach and the coffee were good too. I just need that coffee to kick in now cause Imma sleepy!